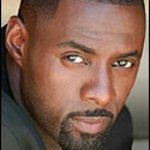 Before Idris Elba became a household name for his role as drug dealer Russell “Stringer” Bell in hit TV series The Wire, his acting career received a kick start from a UK-based charity – and now Elba is giving back to the British charity by filming a motivational documentary for the organization. The London-born actor is an anti-crime ambassador for the Prince's Trust, a UK charity set up by British royal Charles, Prince of Wales. The company gave him a $2,400 (£1,500) grant as a teenager, which paid for his place at the National Youth Music Theatre. And now, Elba has stepped in front of the camera to film the short documentary which highlights the troubles facing the youths of modern Britain and to launch the ’Prince’s Trust Undiscovered’ campaign, which aims to help young people caught in the recession. The Princes Trust organization gives practical and financial support, developing key workplace skills such as confidence and motivation to 14 to 30-year-olds who have struggled at school, have been in care, are long-term unemployed or have been in trouble with the law. They have helped more than 600,000 young people since 1976 and support 100 more each working day. More than three in four young people Princes Trust helped last year moved into work, education or training.